A Lagos High court sitting in Igbosere, presided over by Justice Adebisi Akinlade on Monday February 17, 2014 sentenced Jamiu Seun Odunayo, a former banker, to One Hundred and Fifteen Years (115) imprisonment with no option of fine over an offence which borders on fraud. Stealing, and obtaining money by false pretence. 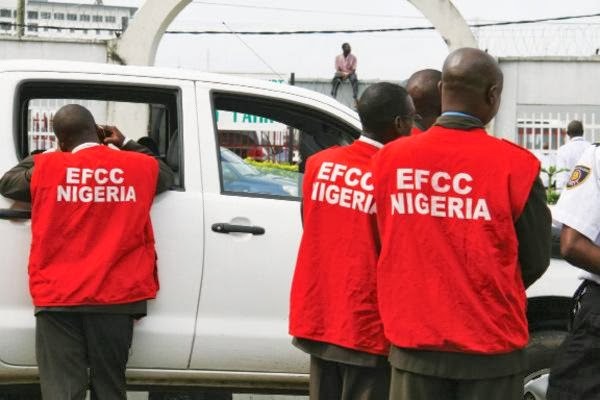 The convict was arraigned by the Economic and Financial Crimes Commission, EFCC on 39-count amended charge for fraudulently obtaining money by false pretences, stealing and suppression of funds to the tune of Eight Million Eight Hundred and Twenty Nine Thousand, Six Hundred and Fifty Naira, (N8, 829,650) belonging to a customer and diverted it for personal use. One of the counts reads: "Seun Jamiu Odunayo sometime on the 7th day of March 2011 in Lagos within the Ikeja Judicial Division whilst being a staff of Skye Bank Plc stole N848,690.00 (Eight Hundred and Forty Eight Thousand, Six Hundred and Ninety Naira) property of Skye Bank Plc". The convict had earlier pleaded not guilty to the 39-count charge that was preferred against him but later changed his plea following a plea bargain. However Justice Akinlade, in her ruling on Monday, sentenced the defendant to one Hundred and Fifteen Years imprisonment, (115) - three years on each of the 39 -count charge. They are to run concurrently. The sentence is to start from the date of his arrest. The journey to prison began on May 19, 2011, when the commission received a petition from a bank, alleging that one of its staff who was a Cash Pick up Officer to one of its customers, did not credit the customer's account. The customer alerted the bank, when she discovered that the sum of Eight Million Eight Hundred and Twenty Nine Thousand Six Hundred and Fifty Naira, N8, 829,650 was not credited into her account. The convict consequently absconded from his duty post to evade arrest. However, Odunayo in his statement stated that, he started stealing from the customer’s account in November 2010, due to delay in payment of his salary. He started with N50, 000 (Fifty Thousand Naira) and later increased it till it reached the sum of N848, 690.00. The convicts confessed that he used part of the money for his wedding; built a 4-bedroom bungalow in Mowe, Ogun state; bought a car, and used the rest for clubbing.